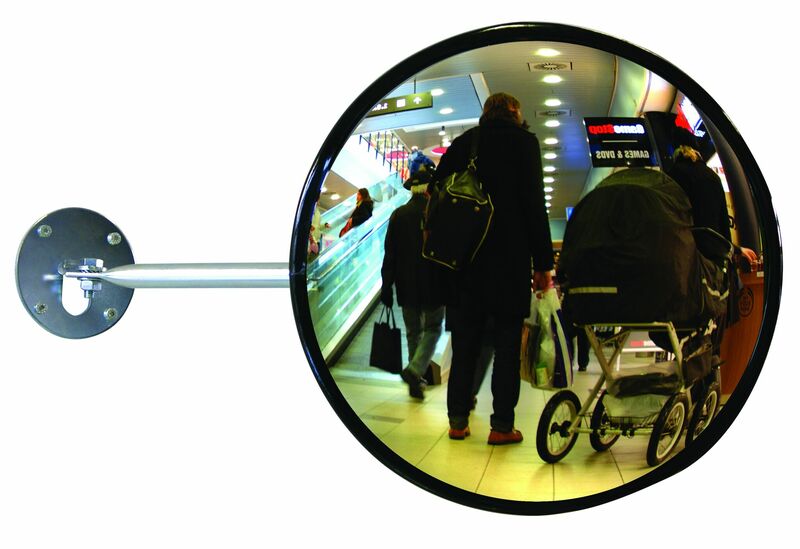 The TÜV-tested EC observation mirror is ideal for monitoring sales rooms or monitoring production. Its distortion-free and good image reproduction avoids theft and accidents. Type EC-US: Its reinforced rear wall shell allows easy outdoor use. The material, acrylic, ensures break resistance and is 70% stronger than glass. 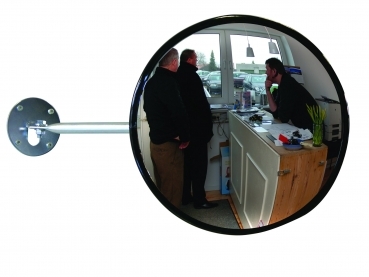 The included telescopic wall arm allows easy installation and adjustment of the field of view.